We will be holding a school supply drive at the July Luncheon to support Chamber member, Hopewell Missionary Baptist Church's Backpack Giveaway in August. Supplies will be collected at the luncheon. 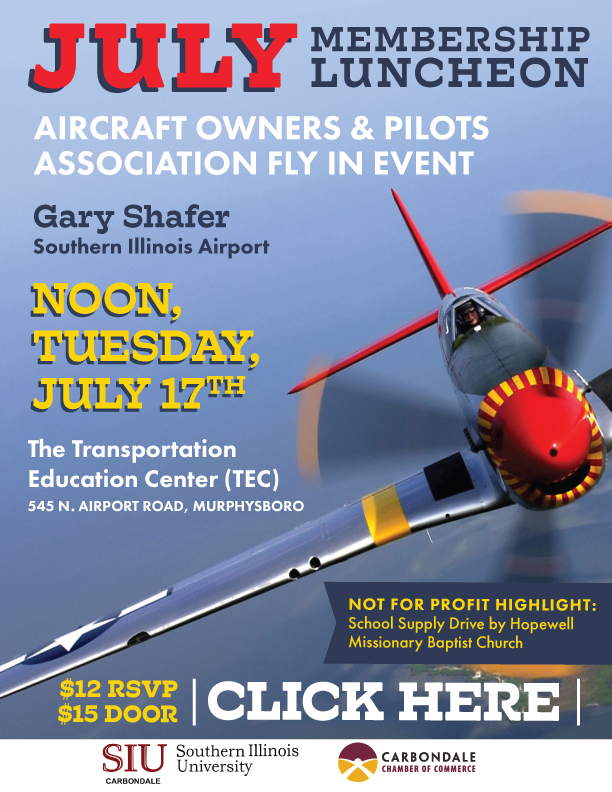 Every guest receives a door prize and we will have two 50/50 drawings, each for a free plane ride, generously contributed by Southern Illinois Airport Authority.